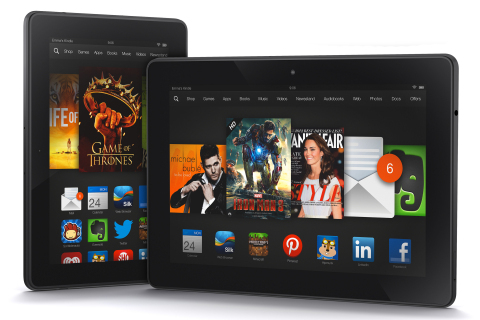 SEATTLE--(BUSINESS WIRE)--Sep. 25, 2013-- (NASDAQ: AMZN)—Amazon today introduced the third generation of Kindle Fire—the all-new Kindle Fire HDX. The new Kindle Fire HDX tablets combine groundbreaking hardware, the latest version of Fire OS, and exclusive new features and services like X-Ray for Music, Second Screen, Prime Instant Video downloads, and the revolutionary new Mayday button. Learn more about the new Kindle Fire HDX family at www.amazon.com/hdx.